Store, protect, and transport equipment with the black BAG-M Padded Bag with Adjustable Dividers from Explorer Cases. This bag is designed for securely carrying sensitive devices, such as electronic, photographic, broadcasting, and medical equipment. The BAG-M features a comfortable rubber coated handle, zipper closure, and lockable zipper pulls. Touch-fastening fabric on the zipper pulls help prevent them from getting in the way or snagging. 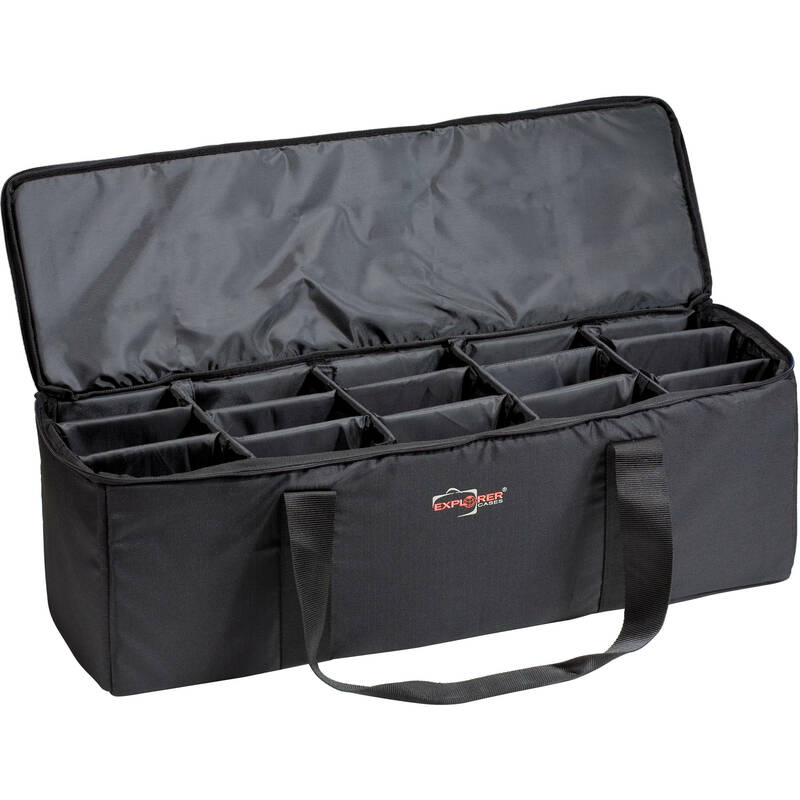 When not in a hard shell case, the bag is easily carried with the top handle or padded, removable, adjustable shoulder strap. Rubber feet help protect the bottom of the bag from abrasions and provide improved gripping. The bag works in combination with the Explorer Case Bag-L or the Explorer Case 7630 for improved impact and weather protection. Box Dimensions (LxWxH) 28.0 x 10.4 x 9.0"